Man, where does time go? September already. The positive about that (aside from the warmer weather) is that it brings us inside the magic "8-weeks-till-D-day" that I seem to require to train effectively and with suitable motivation. For me, XTERRA Worlds on OCt 28th looms large. And for Nic, the Cape to Cape MTB + Anaconda Adventure race finale double in Western Australia. August... I was struggling. Self inflicted ijuries (crashes) + sickness, work, and winter weather meant motivation was low. XTERRA seemed a long long way away and enthusiasm waned. But we've hit the 8 week window which brings a sense of urgency and realism about the whole deal, and mentally it is almostas if I am able to flip a switch. So it's on. Plenty of quality sessions to come. Whats been happening since the last update? 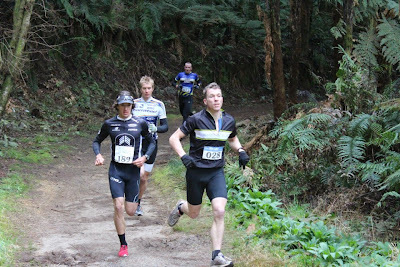 We lined up for the final race of the RATS off-road winter duathlon series. 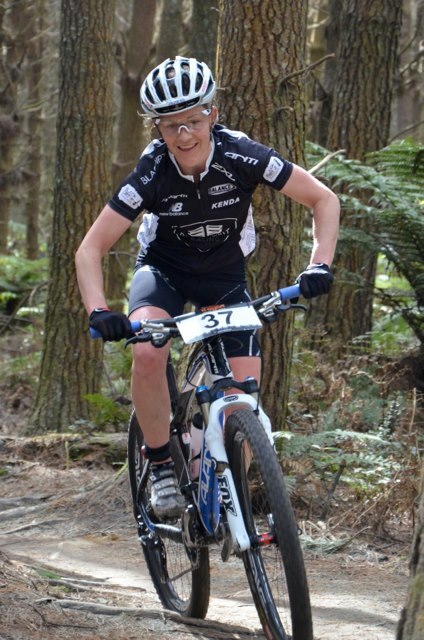 A great hit out, and when your club boasts the Single Speed MTB World Champ, age-group triathlon medalists (at worlds), and national elite MTB reps you can always be assured a solid hit out. Here Garth pushes thepace on the first run whilst Oli Shaw has already put 30sec into us. Ended up having a great tussle with Oli before he slipped away in the last 500m to win by 3 sec. Nic crushed the womens race and beat most of the men aswell. One week later and it was the final of the N-Duro winter series. Both Nic and I led our respective series. Nic the feature 45km length. Me in the 30km. 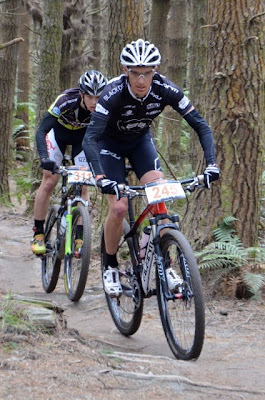 However my bluff was called with my new shadow Oli Shaw lining up with me in the 30km. Wasn't going to be easy, so I called in Lee for a startline lead out... Nice kit Lee! 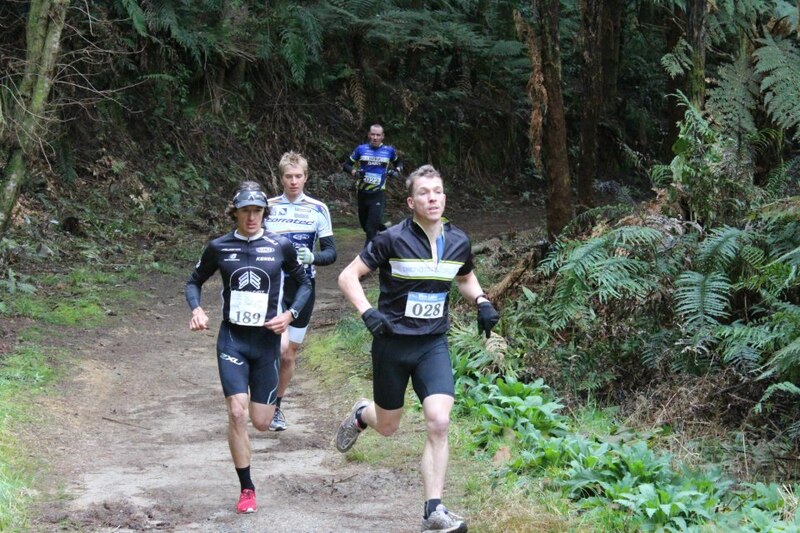 Nic meanwhile was hammering off the front of the 45km. Enjoying one of her better rides in a while, putting a dominant 10min into 2nd place. The 30km starting 30min later and sharing chunks of the course I was amused at the scene when we passed Nic. Long gradual uphill slog into the wind. Group of 5 guys sitting on drafting the strongest at the front which when we got there... was Nic. All seemed happy for her to do the work. 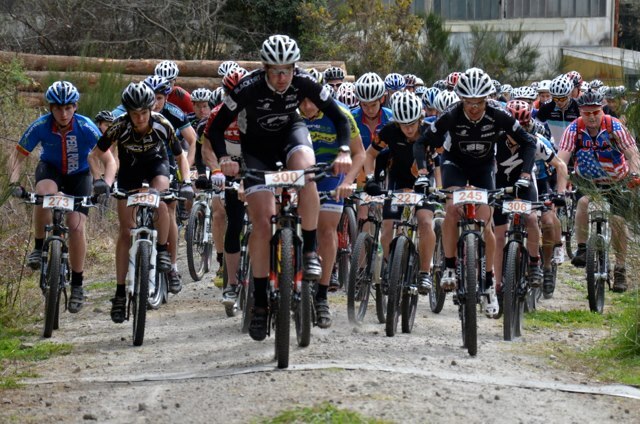 Not much chivalry in MTB racing it would seem?! Oli meanwhile stuck to me like glue. We both rode harder than we can remember in a while on the long climbs. I had him on the ropes a few times but his determination bought him back. Ended up in a sprint which I wasn't going to give up after last weeks run battle! Got it by a metre. We then called a truce and headed off for a very hilly 11km trail run to add to the suffering... um, I mean XTERRA training. Nic and I cemented our respective King and Queen of the series titles. 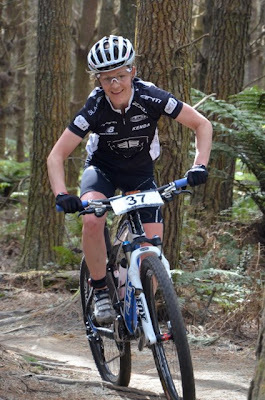 As did Janine Kavanagh in the 30km who enjoyed the added advantage of Avanti speed from race one (having used my 29er). Carl Jones (onthe right of Pic) wrapped up the 45km and fulfilled evil course designer role to perfection. 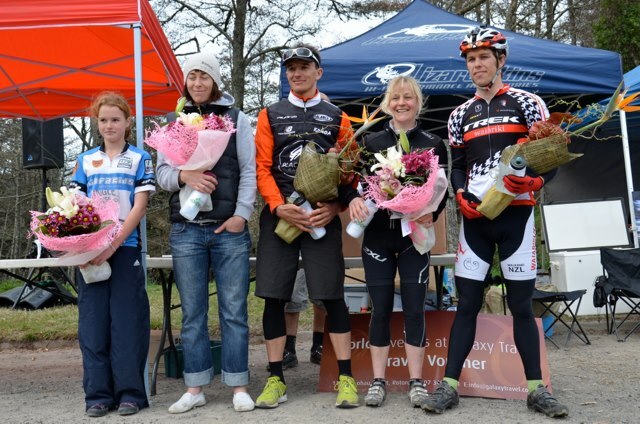 It is a Rotorua based series afterall, so check out these meanseries prizes. Hoodies all the way. 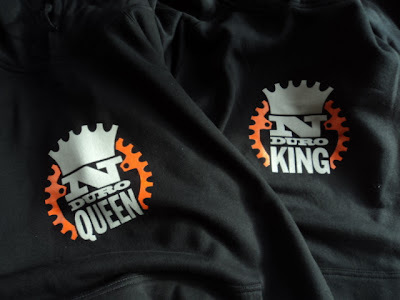 Huge thanks and congrats to Ra Bana on his first series as N-Duro's new owner. Spectacular success, and plenty of great touches to keep the participants happy. They'll all be back I am sure. Thanks also to the guys at Magellan for hooking us up with some fanastic GPS training watches (the switch-up). Check the link at right of blog. Will provides hours of fascination and fun. Mum didn't call me "the Count" as a child for nothing! And a final note. 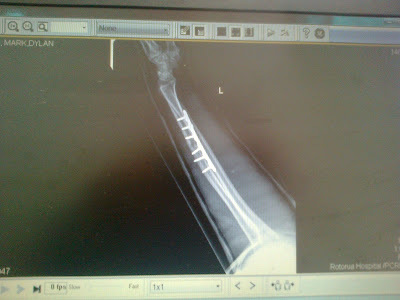 Rotorua Hospital just dropped me off a CD of my X-Rays from last November's mishap. The hardware in there is fascinating to me. 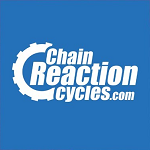 Plenty of Ti in there to satisfy the most discerning bike bling fans.